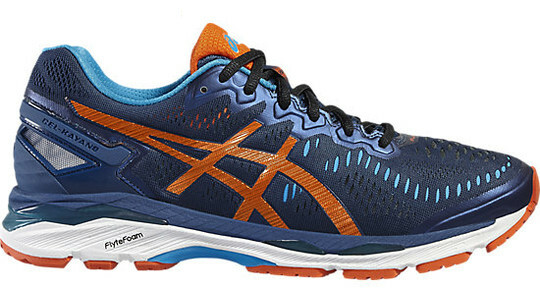 Running long distances in the KAYANO 23 puts your feet on autopilot. This men’s running shoe has racked up more than 20 years of success on the road, helping overpronators stay stable and comfortable over long distances. And the last mile is just as comfortable as the first thanks to superb FlyteFoam cushioning and a fibre-reinforced midsole that helps the shoes recover their shape after impact. This means the more you roll your foot, the more stable it will become.The GEL-KAYANO 23 hugs your feet and cushions the impact thanks to FlyteFoam technology in the midsole, which is even lighter than previous versions. It also boasts a 2-layered springy midsole with SuperSpEVA.